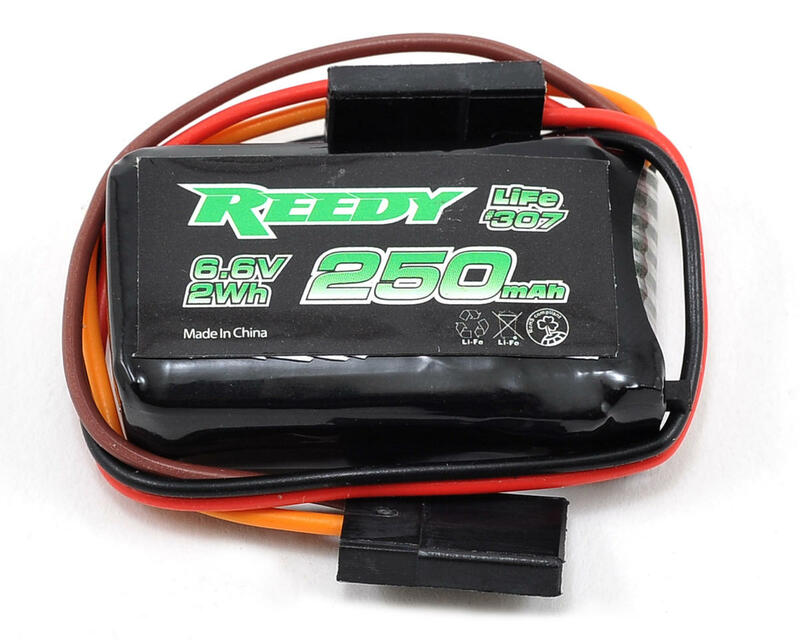 This is the Reedy 250mAh, 2S LiFe Receiver Battery Pack. 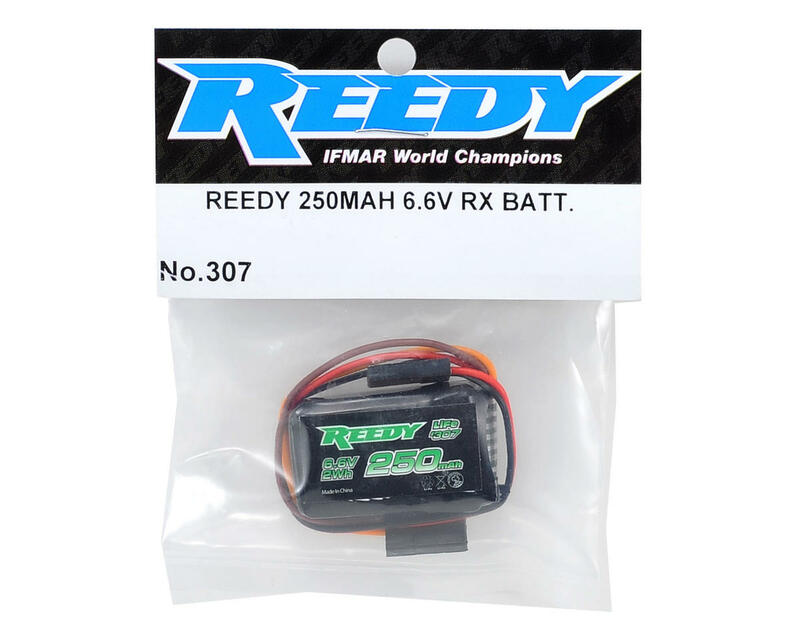 Reedy's 250mAH 6.6V LiFe Receiver battery is perfect for use in 1S powered 1/12 and 1/10 scale pan cars that require a receiver battery. The battery's LiFe chemistry provides voltage similar to a electronic speed conrollers BEC voltage output, resulting in servos that run as intended in terms of speed, torque, and reliability. The 250mAh capacity is good for a typical day's worth of pan car racing. Start the day charged and run two qualifiers and a main event without having to worry about re-charging! The battery features an integrated switch so that the car can be powered on and off conveniently. A separate non-switched charging jack means that the battery can remain plugged into the receiver during the charging process.